Well, I just received a CD of wedding photos from one of my clients this summer. Ordinarily I would only put up photos of the wedding cake but this wedding was so chic and beautiful, I thought that I’d share some other snippets too. 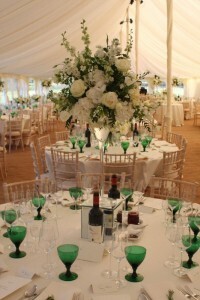 Everything complimented everything else and I think it is a perfect example of a beautiful summer country wedding. 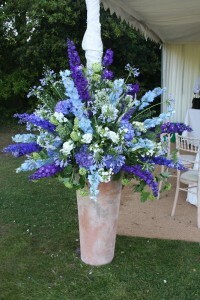 Katherine’s flowers were by a company called G Lily and were absolutely amazing. The traditional wedding cake was obviously by Cakes by Robin! 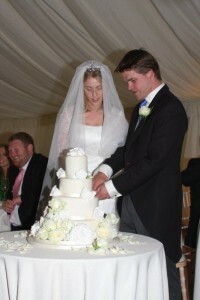 The new Mr and Mrs Verdon-Roe cutting their wedding cake-inside it was rich chocolate and was served as pudding.